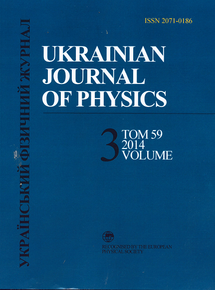 This regular issue of Ukrainian Journal of Physics presents a collection of papers dedicated to Galyna Puchkovska’s 80-th birthday anniversary. The papers cover recent developments in different branches of spectroscopy and their applications to chemistry, physics, medicine, nanotechnology, and industry. The editors express their thanks to the authors who contributed the papers published in this issue.